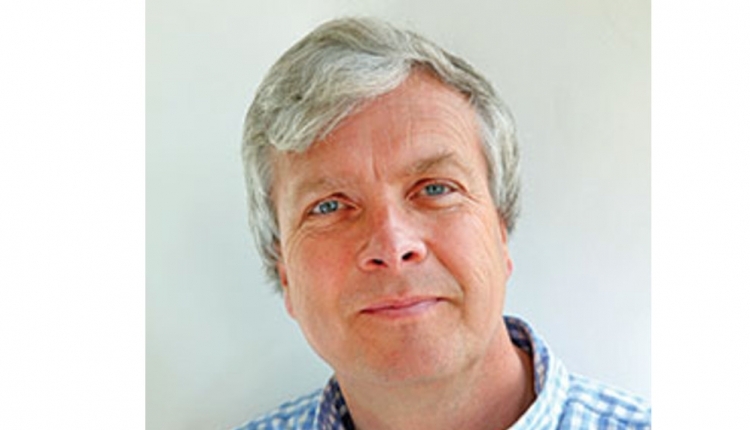 The authors serve as professor, research associate, professor emeritus, and undergraduate intern at the University of Georgia Department of Animal and Dairy Science. 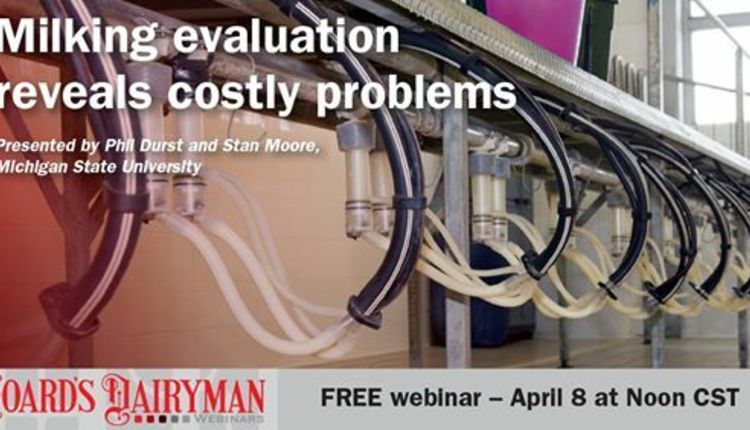 Trying to successfully treat a case of clinical or subclinical mastitis with intramammary tubes can sometimes be a crapshoot, as cure rates are typically 50 percent or less. So, how can you improve your odds of achieving a cure against the common staphs and streps that cause the majority of mastitis? 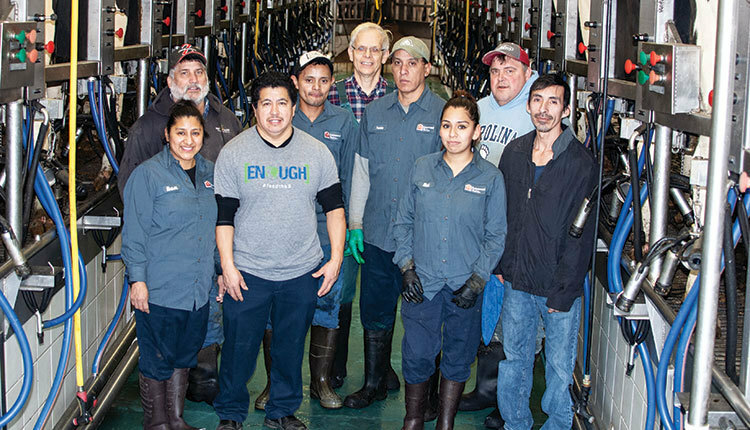 An ongoing study at the University of Georgia Teaching Dairy suggests that it is all about the somatic cell count (SCC). For the past 10 years, we have been conducting a research trial to determine what lactating cow antibiotic products, and how long they are infused, result in the greatest cure rates for the common causes of mastitis. Extended therapy consists of one intramammary infusion at each of six consecutive milkings, for a total of six infusions. Of course, this treatment must be carried out with a valid veterinarian-client-patient relationship (VCPR). A subset of the data, which included 30 lactating cows, was recently summarized and presented at the College of Agricultural and Environmental Sciences Undergraduate Research Symposium by our undergraduate intern, Gabby Resnick. 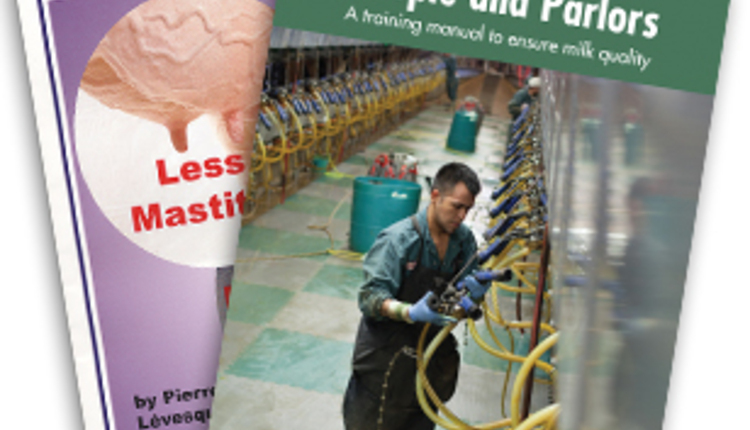 Results showed that overall cure rate across all five products and two treatment times for all types of mastitis was 41.2 percent. The highest cure rate was observed with Today (80 percent) followed by Spectramast LC (44.4 percent), Pirsue (40 percent), Hetacin-K (33.3 percent), and Amoxi-Mast (16.6 percent). No differences in cure rates were observed across antibiotic treatments between short duration (42.1 percent cure) and long duration (40 percent) therapies. Across treatment products and treatment times, cure rates were highest for the coagulase-negative staphs (85.7 percent), followed by the streptococci (36.4 percent) and Staph. aureus (25 percent). What was very revealing was that infected quarters that actually cured as a result of antibiotic therapy had relatively low SCC at the time that antibiotic therapy was initiated. On the other hand, infected quarters having very high initial SCC were in fact treatment failures. For example, the average SCC at the time of treatment in any infected quarter destined to cure after therapy was 587,000 cells per mL (milliliter), whereas the average SCC of quarters destined to fail at time of treatment was 2,994,000 cells per mL (Figure 1). 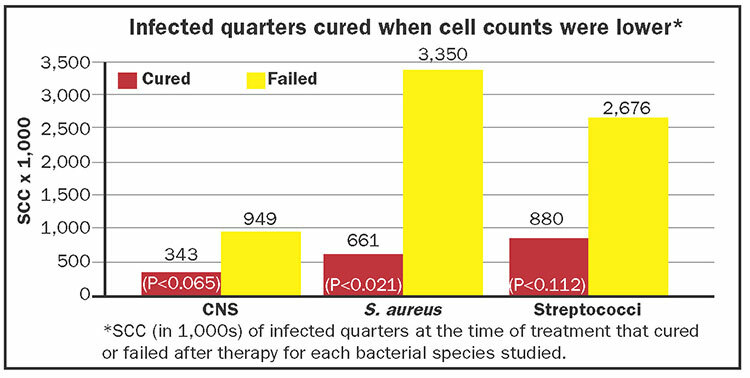 Looking at individual bacterial infections (Figure 2), average SCC at the time of treatment in quarters infected with the coagulase-negative staphs that were destined to cure after therapy was 343,000 cells per mL, and the mean of those destined to fail was 949,000 cells per mL. 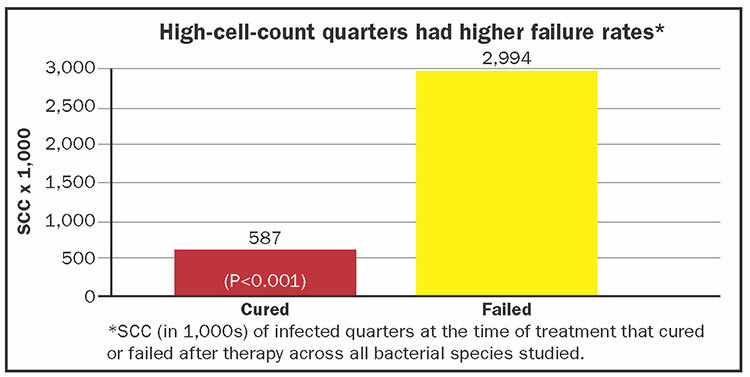 The average SCC at the time of treatment in quarters infected with Staph. aureus that were destined to cure after therapy was 661,000 cells per mL, and the mean of those destined to fail was 3,350,000 cells per mL. The average SCC at the time of treatment in quarters infected with streptococci that were destined to cure after therapy was 880,000 per mL, and the mean of those destined to fail was 2,676,000 per mL. From a practical standpoint, the most important finding of this trial to date is that infected quarters that cured had lower SCC at 587,000 cells per mL versus those that failed at 2,994,000 cells per mL. 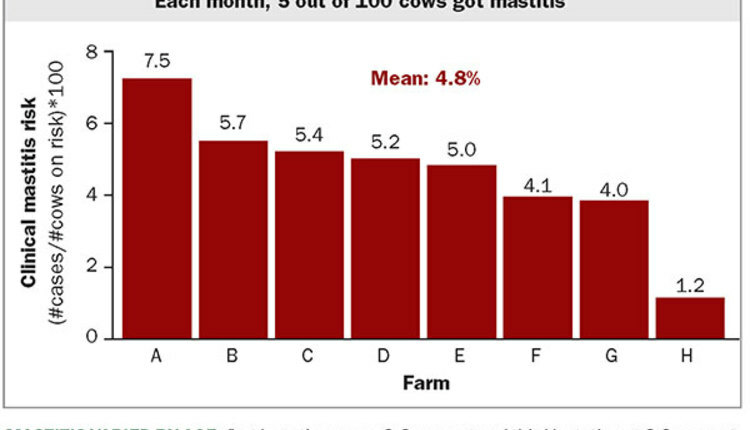 Although results are preliminary, we believe that dairy farmers may be able to use these benchmarks when deciding if an infected quarter should be treated. For example, if the SCC ranges from 300,000 to 700,000, then the chances for a cure are good. If the SCC is 2,000,000 to 4,000,000, then the chances are poor, and treatment would not be advised. Are you ready for fly season? Are you ready for a drop in the SCC legal limit?